view another article... This foot condition is the new back pain — it’s everywhereCarestream, CurveBeam to spread word about weight-bearing CTNew Cartiva ImplantPain Free Plantar FasciitisUFAI featured on ABC NewsCarolina Panthers Star Lotulelei's Foot InjuryBiggest Opportunities for Foot SurgeonsDoctors TV Show - Foot Surgery while Pregnant10 Diseases Your Feet Can Reveal, Readers DigestPlantar Fasciitis TreatmentsThe Doctors TV, Living with Plantar FaciatiisHow to Stop Foot Pain for Good44 Ways to Correct Hallux ValgusDo fat-soled running shoes protect aging joints?Ankle replacement can restore mobilityCam Newton's Ankle InjuryMinimally invasive Foot & Ankle Surgery49ers' Crabtree 'amazing' Achilles recoveryAbout Kobe Bryant's Knee InjuryCurry more likely to play than Bryant3-D Scan Reveals Foot Damage by High HeelsAlbert Pujols' Foot InjuryWill Kobe Return? Doctors Raise Questions About Laker Star's Future In The NBAWhat Kobe must do to prove 'doubters' wrongKobe Bryant's difficult task ahead after injuryPau Gasol's return from foot injuryIs barefoot running a bad fad, or better choice?Born to Run Barefoot?Born to run barefoot? Some end up getting injuredCan a $15 basketball shoe have game? Several new innovations in surgical techniques have allowed for improved healing and reduced need for heavy hardware. Five foot and ankle surgeons discuss the biggest innovations in foot surgery, including outpatient procedures. Bruce Pinker, DPM, Progressive Foot Care, White Plains, N.Y.: As a foot surgeon I have found several modern implants to be very beneficial to patients and to surgeons. For hammertoes, I use the Stay Fuse implant, as well as the Hammerlock. For bunions, I use cannula red screws or low profile screws and plates made by Stryker, Osteomed, and Paragon. Ken Jung, MD, Kerlan-Jobe Orthopaedic Clinic, Los Angeles: Progress and advancements in ankle joint replacement continue, which provide surgeons more options when treating ankle arthritis. As device design develops and progresses, the longevity of the implants should improve, which will benefit patient function and quality of life. Gregory Catalano, DPM, FACFAS, Fellow Member of the American College of Foot and Ankle Surgeons, based in Massachusetts: The use of biologic products and stem cells. These are new technologies in extremity surgery that hold great potential for wound care, joint reconstruction and healing tendons and ligaments. 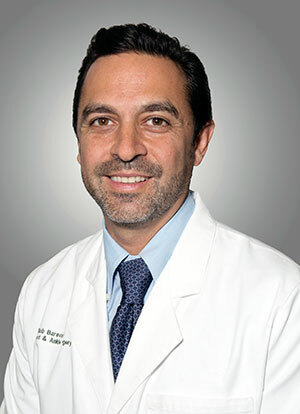 Bob Baravarian, DPM, board-certified podiatric foot and ankle specialist at Providence Saint John's Health Center in Santa Monica, Calif.: Several new innovations in surgical techniques have allowed for improved healing and reduced need for heavy hardware. We have begun working with a company on the design of plate specific techniques for specific types of surgery which actually have a memory to them. Once the plate is placed on the appropriate site the plate begins to bend and compress in the direction of desired compression. These plates are made out of nitinol and are found to have a very low profile, are very resistant to breaking, and allow for compression. I have been very happy with the use of nitinol plates as compared to regular plates. Regular plates do not allow for significant compression and are significantly thicker. We have also seen some improvement in hammertoe correction is with the use of bone and bone similar materials such as PEEK. These materials have allowed for solid internal fixation but can be cut or removed if there is reason to alter the hammertoe which can be difficult with medullary stainless steel or titanium products. Lance Silverman, MD, Silverman Ankle & Foot, Edina, Minn.: There are a few innovations that are increasing satisfaction rates and overall outcomes for patients in the world of foot surgery. The first is soft tissue repair of the plantar plate. These types of repairs have revolutionized the treatment of the dreaded "second toe trouble." Secondly, locking plate technology has the capability of neutralizing fractures and fusions. This technological advancement provides better fracture healing, less reported pain and decreased time in immobilized casts. Lastly, although it's not so much of an innovation, improvement of ankle replacement accuracy guides have helped to simplify the procedure. The updated guides help improve the ankle's alignment, which has been identified as one of the most important factors in improving implant survival time.